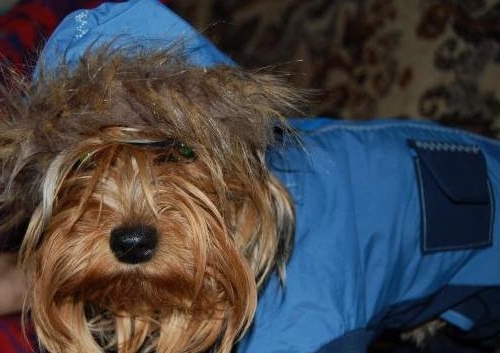 A few years ago, dog clothing has caused confusion and even ridicule of passers-by. And today, many dogs have a very extensive wardrobe. 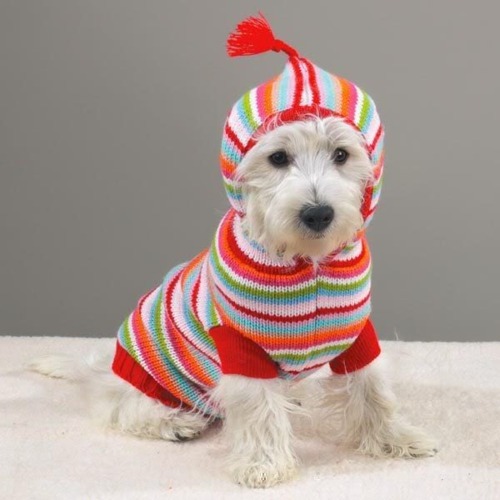 If you too are planning to dress up your pet, all you need can be purchased in the store. But much more interesting to create doggy outfits on their own. You can start with the simplest – for example, with caps. - scraps of soft tissue. Evaluate the needs of your pet. Pugs, bulldogs and other Shorthair dogs may need a sun cap. Spaniels and Basset-hounds with long, hanging ears just need headgear that protects the ears from dirt and litter. 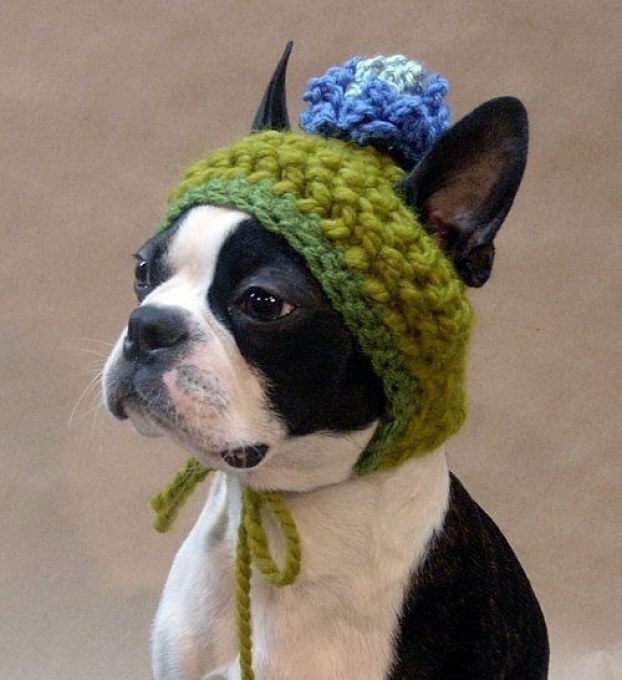 And always saboxin toy-Terriers and Chihuahuas will be useful and warm hat for the winter. 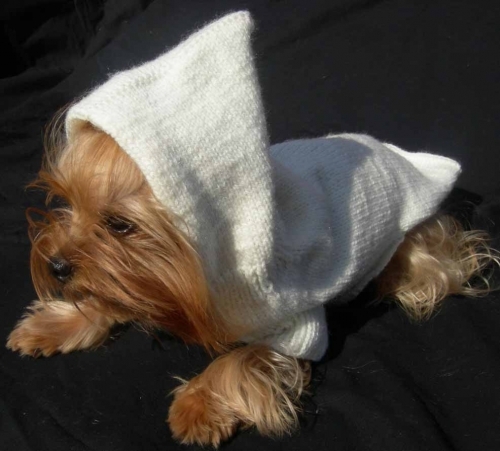 For making dog hats will fit any soft piece of cloth. Do not use harsh, prickly, crunchy material – they can irritate your pet. The easiest option of headgear – a cap-pipe. It will suit long-eared dogs. 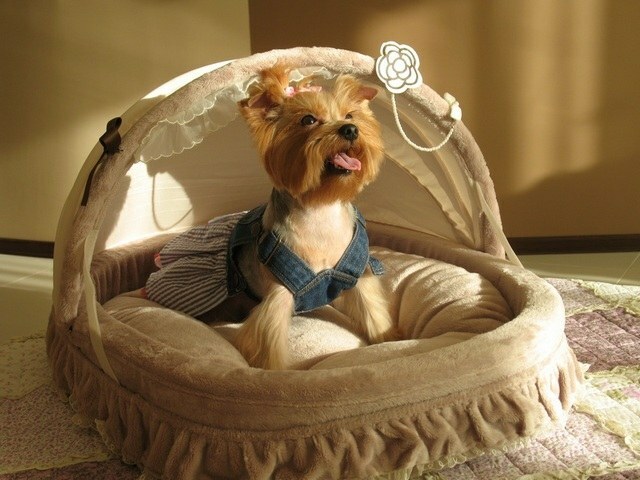 Main purpose – not to allow street litter and dirt to cling to the fur on the ears. For wet weather the pipe can be made from waterproof materials for summer walks will need a hat made of lightweight mesh fabric. Good work and hats, fine-knit and very warm options from sew furry fleece. Remove the merc with a dog. You will need your neck circumference in the widest part (width of the future cap) and the distance from the bottom of the neck to the forehead (respectively, its length). Making allowance of 3 inches in width and 6 inches in length, will have plenty of fabric a rectangle. Fold it twice and sew. The resulting tube should be freely worn on the head of a dog. On both sides make the bending and hem. In every ACC pass band, adjusting it to the width of the neck. Remove the product. Dogs with erect ears is another version of the hat. It can be done warm, but you can summer, protected from the sun. Take a break from the fabric a rectangle whose length is the circumference of your head (plus allowance for seams), and the width and height of the ears (also taking into account the seam allowance.) The bottom cap is a circle, the diameter of which is equal to the circumference of your head. If you plan to make the hat with lining, increase the allowance. Baste the details of the cap, connecting the rectangle width, then sew the bottom to its long side. 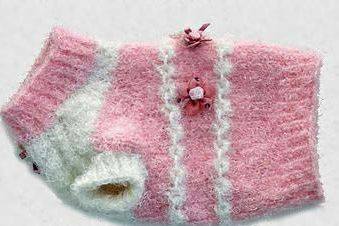 For better fixation on the head of a dog sew on both sides of the cap ribbon.